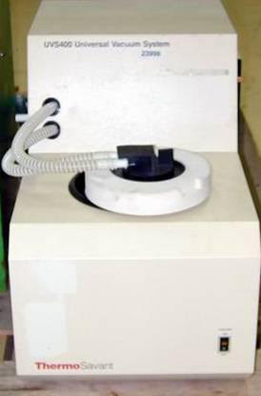 This Thermo SpeedVac Concentrator System is equipped with a choice of cold-trap and vacuum pump depending on the application the user wants to perform. The small-capacity concentrator series handles varying solvents for different applications. 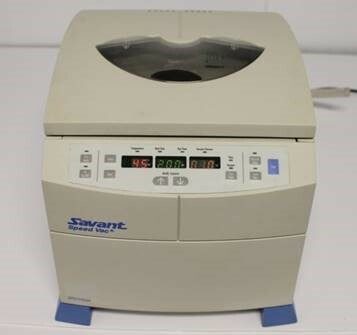 The SPD 111V model is designed for aqueous solvent applications and vacuum evaporation. The SPD 111V handles sample concentration using low concentrations of non-aggressive organic solvents like Acetonitrile and Methanol. Safely handle and recover solvents with the Thermo Scientific Savant Universal SpeedVac Vacuum System, equipped with an easy to use, wide-mouth glass condensation flask. 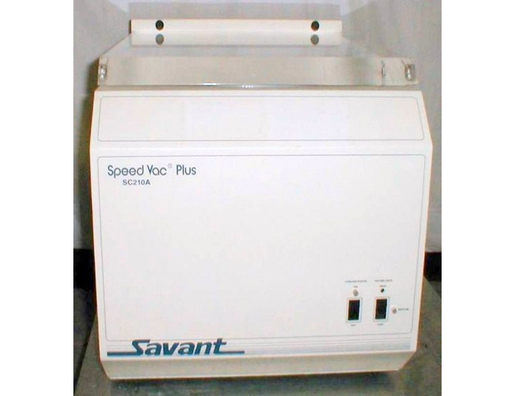 This single integrated unit combines an oil-free vacuum source and refrigerated vapor trap, and can be connected to any of the concentrators to provide a complete SpeedVac system.